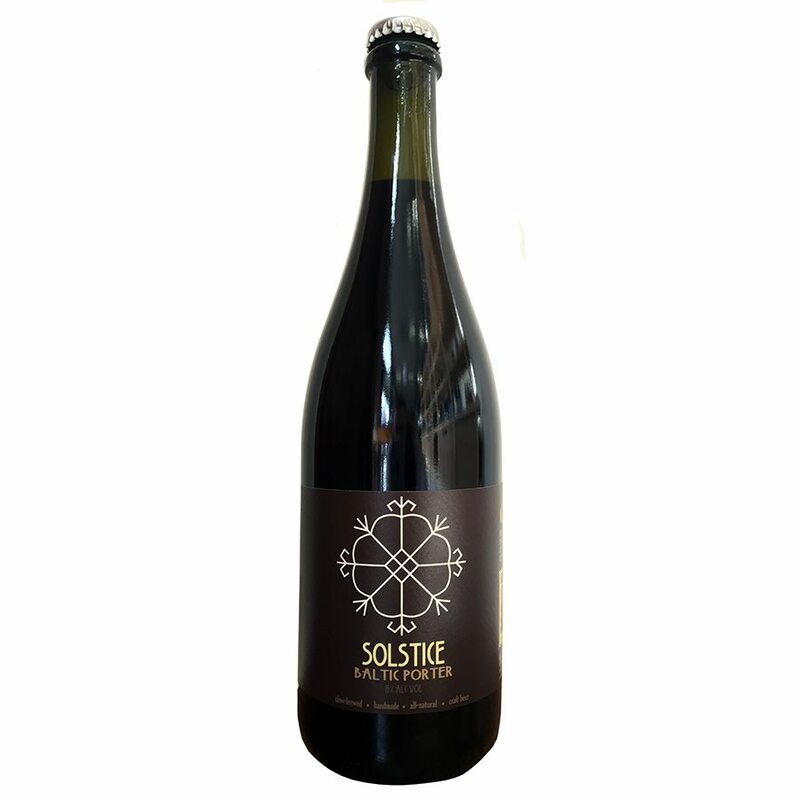 A sweet, dark and strong festive ale brewed twice a year on the shortest and longest days of the year – when Baltic and northern Europeans celebrate the winter and summer solstices. This special ale is made with a mix of five different malts and three hops. The extract for this beer was made in three oak barrel mash tuns full of malt, filtered through a bed of straw and hay, then boiled for a combined 3 hours on our wood-fired kettle before undergoing a vigorous three days of open fermentation. At a warming 8% a/v this Baltic Porter style beer is aged for at least three or four months after brewing before it is released for sale. “Tasting Notes: A suitably old school-looking beer from a brewery using the most old-school of methods, this cola-coloured Baltic porter pours with a low carbonation, emitting woody, earthy aromas that mingle with a rich, chocolatey sweetness. There’s a lingering dark fruit character alongside the earthy bitterness, with the 8 per cent booze poking its nose in late on. The story: There are quirky breweries in Australia. And then there’s Robe Town. Opened in 2015 by a Latvian couple, Maris and Kristi Biezaitis, after a couple of years operating as ‘gypsy’ brewers, Robe Town is truly unique. Within a disused fish factory, former journalist Maris brews using a setup comprised of oak wine-barrel mash tuns, a wood-fired copper kettle, open fermenters and a filtration system that uses straw and hay. The aim is to bring some lost brewing techniques back to life, making the brewery part window into the past, part creator of unusual beers. To give an insight into the practices at Robe Town, for the beer featured here the extract was made in three oak-barrel mash tuns full of malt, filtered through a bed of straw and hay, then boiled for three hours on the wood-fired kettle before undergoing three days of open fermentation, leaving the liquid open to the elements. You can see for yourself if you visit the town as the cellar door is open most days. While Baltic Porters were traditionally brewed with lager yeasts, the Solstice uses an ale yeast, hence its appearance in this chapter. Brewer’s Food Match: Dark bread with mature cheeses, almonds and dates. Availability: Seasonal: twice a year on the solstice. Suggested serving glassware: Cervoise or large tulip glass.